This is delicious on an old shoe. Okay, probably not. But it’s deceptively simple and really, really good. 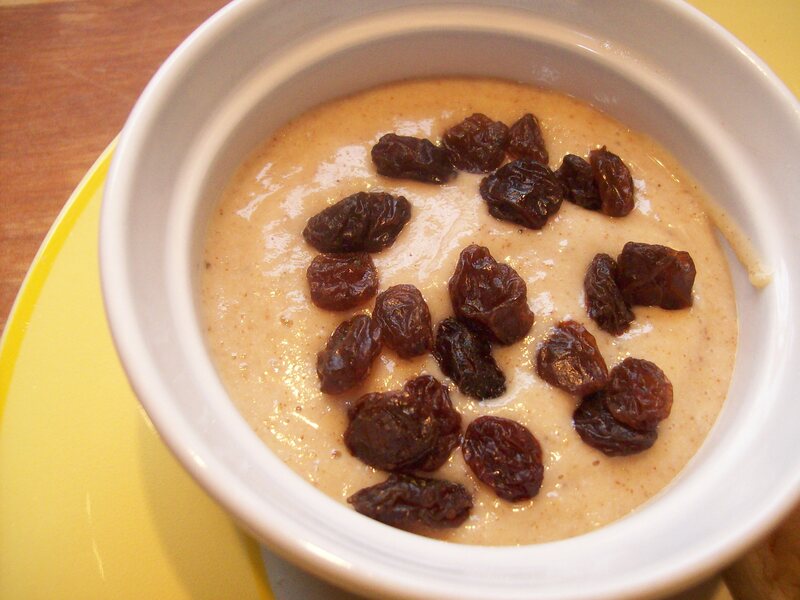 You could omit the raisins if you want a smooth dip. P. and I really liked this on cinnamon English muffins with the raisins sprinkled on top, but if you stir the raisins into it it’s fun to scoop on celery sticks for a new twist on ants on a log. Combine yogurt, ricotta cheese, bananas, and almond butter in a blender or food processor. Blend until smooth and creamy. Add the raisins, if desired, and stir to combine.